Emily Mitzel and Paul Littley, Nelson Labs, look at the justifications and validations for third-party reprocessing of single-use medical devices. A leading third-party reprocessor claims to divert more than 2.9 million pounds of medical waste from landfills each year. Medical devices that have been validated and marketed as single-use devices (SUDs) are intended to be disposable with no return on investment outside their initial use. Reusing devices that have been safely reprocessed by a third-party reprocessor can enable healthcare providers to maintain high-quality patient care while saving cost and reducing medical waste. Validated functionality testing must be paired with validated cleaning, disinfection, and sterilisation processes to ensure safety and compliance with regulatory requirements. Reusing devices intended for single use without having the correctly validated processes in place may have detrimental effects on the patient’s health. Regulatory bodies have recommended the guidance document “Medical Device User Fee and Modernisation Act (MDUFMA) of 2002,” along with “Enforcement Priorities for Single-Use Devices Reprocessed by Third Parties and Hospitals,” and “Labelling Recommendations for Single-Use Devices Reprocessed by Third Parties and Hospitals.” The limited amount of detailed regulatory guidance, requirements, or specifications necessitates that third-party reprocessors develop a risk-based approach to device reprocessing. A number of considerations and steps are required to successfully reprocess SUDs. Organising devices for validation according to family grouping: Given the expense involved, it is impractical for manufacturers to validate every type of device they intend to market. Luckily, similar devices can be grouped together as a family and tested as such. In each family grouping, a worst-case device is chosen. That device will be validated and considered the master product of that family. To perform family grouping, reprocessors must have knowledge of the devices and the requirements for reprocessing. Cleaning: Every reprocessed device should be evaluated for cleanliness. One of the first steps when considering which processes are necessary in reprocessing a device is to assess the device’s level of patient contact and determine the residual soil characterisation. Questions such as, “How is the device used on the patient?” and “How much organic soil or bodily fluid comes into contact with the device?” should be asked. Answers to these questions will determine the level of cleaning the device will need. For example, a device that has only incidental contact with the patient might require only spot cleaning, perhaps with a spray cleaner. Devices that have contact with a patient’s secretions may need to be fully immersed in a detergent bath, undergo an ultrasonic soak, or require manual brushing. Other factors to be considered include the appropriate cleaning procedure and the justification of the acceptance criteria. These factors will form the basis for the cleaning validation, along with validated parameters. It is important to clarify the difference between a device that is clean and a device that is disinfected or sterile. A device that is clean is free of organic soils and detergent residuals. For a device that has been disinfected, viable microorganisms have been reduced or eliminated. A device that is sterile has undergone a process in which viable microorganisms, including spore forming organisms, have been eliminated to an appropriate sterility assurance level (SAL). Disinfection and Sterilisation: Not every device requires disinfection or sterilisation; therefore, it is crucial to know how the device was initially marketed by the original equipment manufacturer (OEM), as well as how it was used in a clinical setting. In certain instances, it is not uncommon for a device that is marketed as non-sterile by the OEM to receive high-level disinfection (HLD) or sterilisation when being reprocessed. This is due to the potential contamination associated with the device’s prior use in the healthcare environment. Critical devices must be sterilised, while some non-critical devices might only need to be cleaned and disinfected. Clinical use and future patient contact are key factors in determining whether a device will need disinfection or sterilisation. The degree of disinfection or sterilisation should be part of the third-party reprocessor’s risk-management system and should have a sound justification based on the degree of clinically based microbial contamination. In addition, packaging and a traditional sterile barrier system must be appropriate to maintain the level of disinfection or sterilisation achieved when the device is reprocessed. Packaging design and validation must conform to the applicable ISO 11607 standards. Assessing water system(s) design and management: Many cleaning processes are water based; therefore, it is of significant importance to determine the appropriate quality of the water used in the cleaning processes. Water system design, validation, and monitoring are crucial to ensuring the water grade is compliant with regulatory specifications. A valuable reference regarding the use of water in reprocessing medical devices is the Technical Information Report 34 (TIR34) produced by AAMI, with the most current version published in 2014. Ensuring regulatory compliance: Following applicable current good manufacturing practices (cGMP) and the requirements specified by ISO 13485 (which governs quality management systems in the manufacturing of medical devices) is key to a successful validation. Because regulations regarding the third-party reprocessing of single-use devices are unclear, it is best to take a risk-based approach to device reprocessing including cleaning, disinfection, or sterilisation to ensure that the device is safe and effective for the next patient. 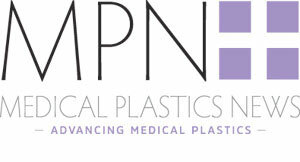 The motivating factor driving the demand for third-party reprocessing of single-use devices is a desire to provide safe and effective care that is also economical—ultimately benefiting the patient. In addition, medical waste sent to a landfill can be reduced significantly. Paramount to these efforts is validated functionality testing and using validated cleaning, disinfection, and sterilisation processes.